Mills will celebrate its 150 anniversary with a series of campus events while working toward a $100 Million fund raising goal for 2003. The first event will be a reunion, for the class of 1997 and the centennial class of 1952. Kavita Ramdas, president and chief executive officer of the Global Fund for Woman, will deliver the convocation address this year marking the official opening of the academic year. Following convocation will be the President Janet Holmgren’s Colloquium. Holmgren will be discussing Mills history, trends and the evolving identity of Mills woman through out the last fifty years. Faculty and students are embracing the importance of Mills sesquicentennial celebration. ” I am honored to be apart of an institution that has supported the education of woman for 150 years,” said senior Jenni Owens. The sesquicentennial celebration has been an ongoing campaign, and organizers said they are confident that this year’s campus event s will spotlight the celebrations. Kuney said there are two historians on the ASMC government this year, who are studying Mills and interested in reviving the spirit of the Sesquicentennial. John Brabson , interim provost, said that it is important for Mills to celebrate its history. The second part of sesquicentennial is the fund raising campaign. As of June 30, the fund raising campaign has reached $72 million according to Sally Randal vice president in the Office of Institutional Advancement. The projected fund raising goal is to reach $100 million by May 2003. Mills has received gifts from alums, friends and family of the college, trustees and prominent community members and foundations. According to Randal, Mills has exceeded the biggest fund raising total since the late 1980. Mills College was founded as a young Ladies seminary in 1852 in Benicia, California. 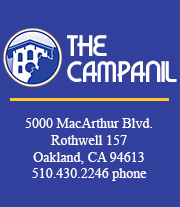 It was then established in Oakland in 1871 and was chartered as a college for woman in 1885.